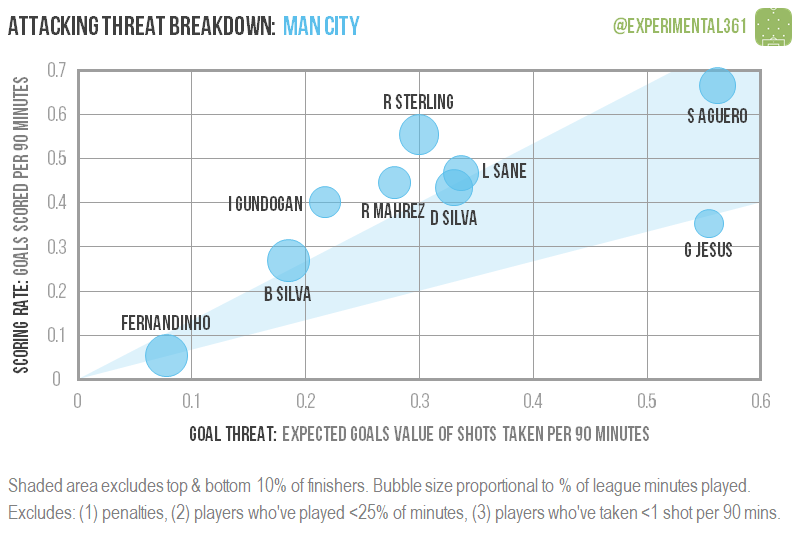 Man City have two of the division’s most dangerous strikers in Sergio Aguero and Gabriel Jesus, so Pep Guardiola shouldn’t be afraid to rotate them. 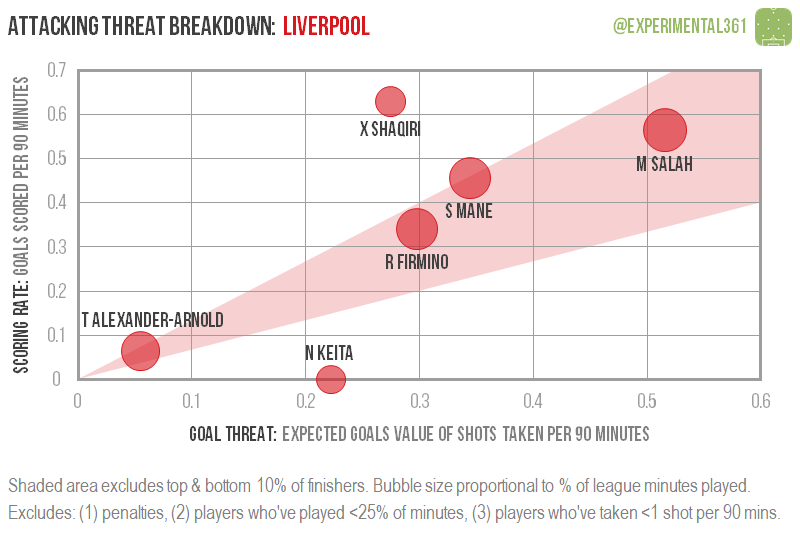 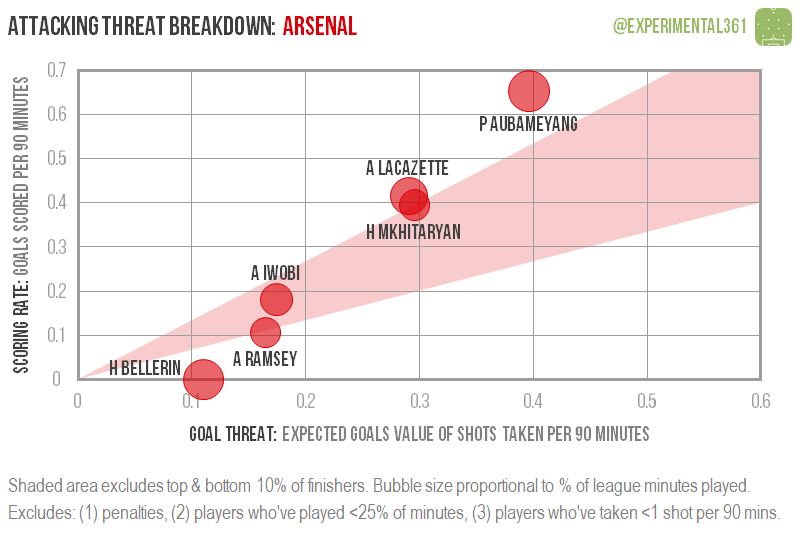 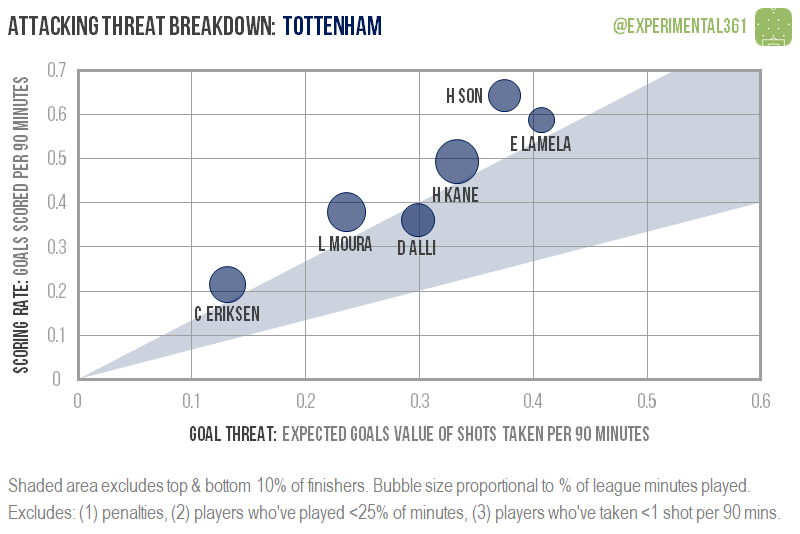 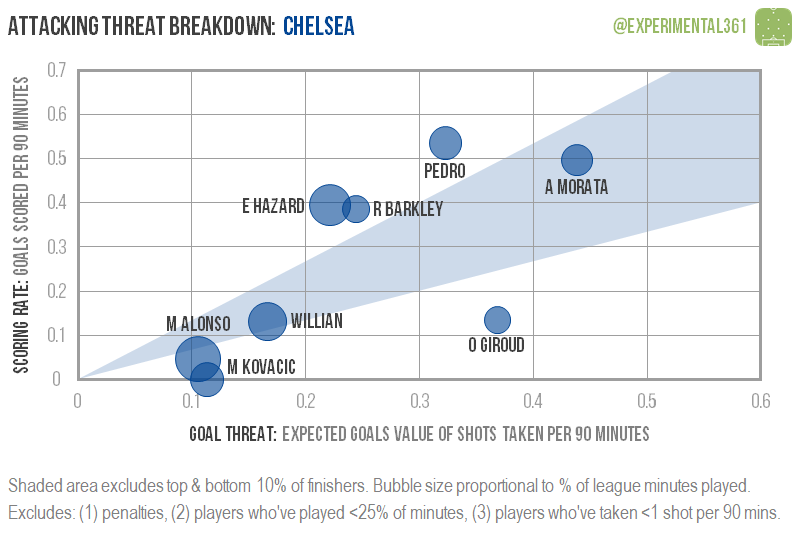 Mohamed Salah of Liverpool is the only other attacker performing at a similar rate so far this season, with Arsenal‘s Pierre-Emerick Aubameyang and Tottenham‘s Harry Kane ruthlessly converting chances of lower average quality (at least as well as I can measure them). 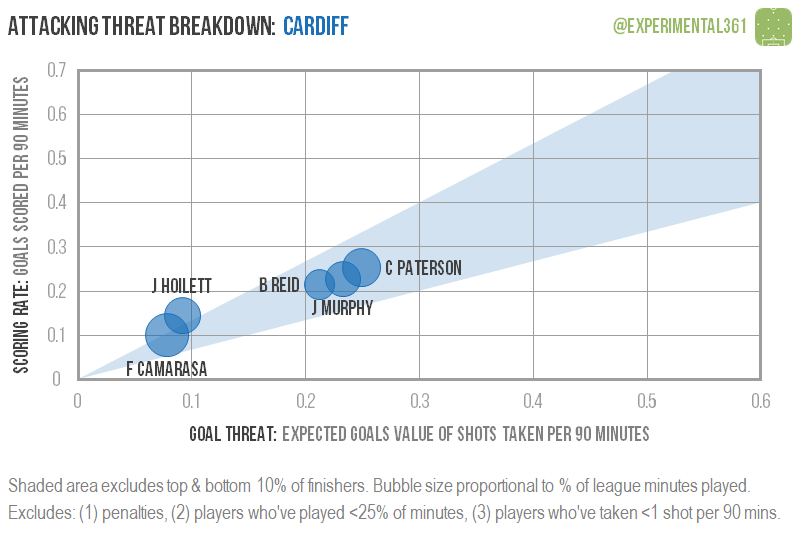 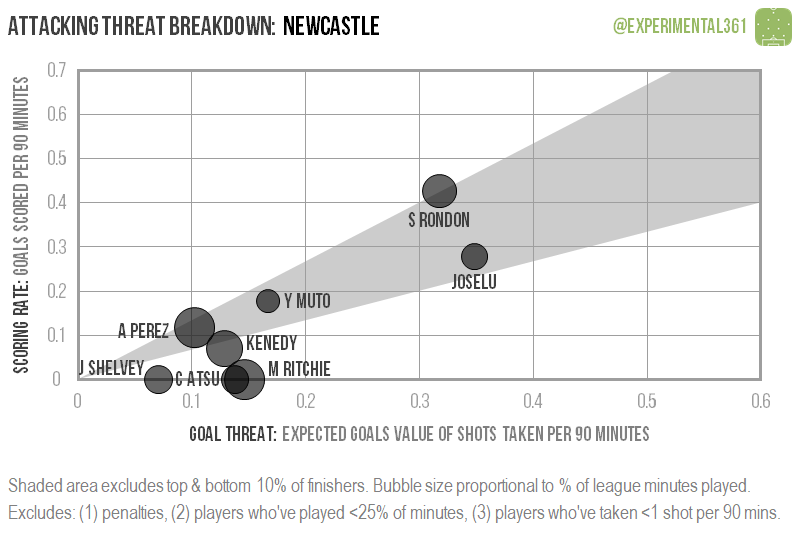 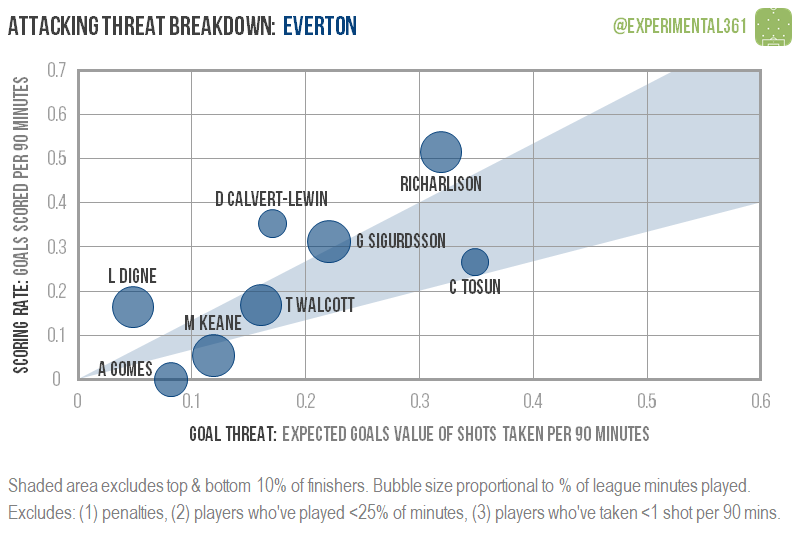 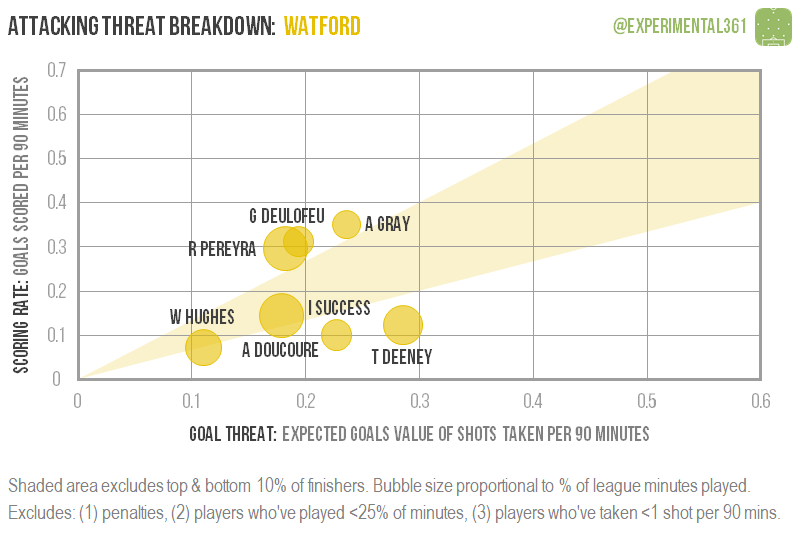 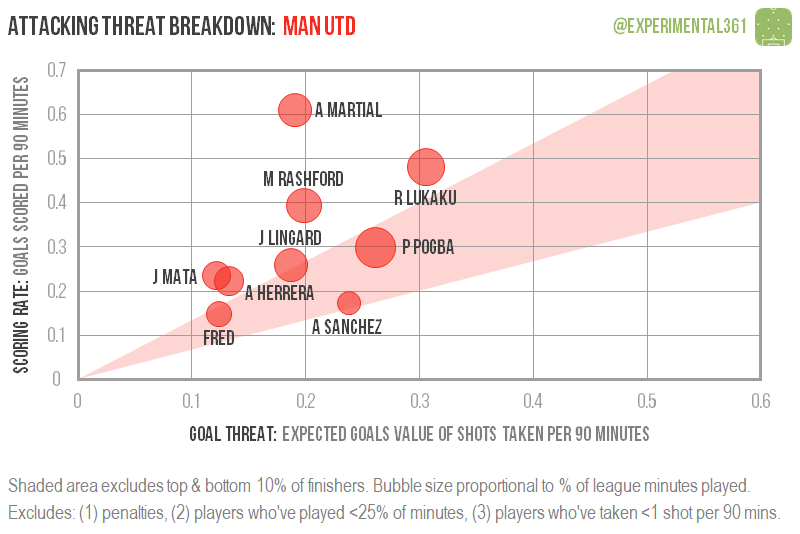 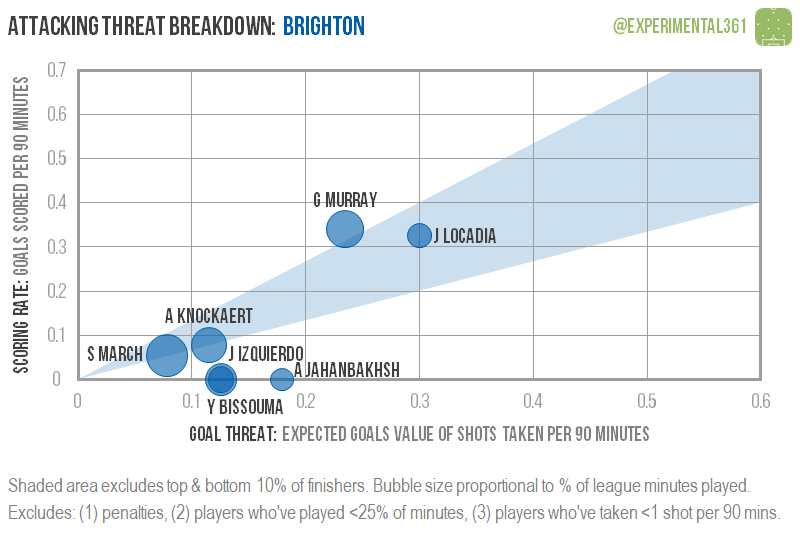 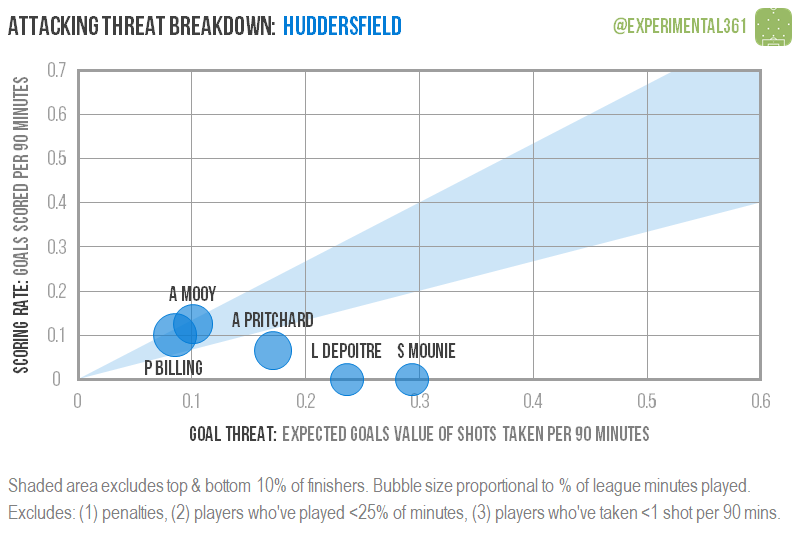 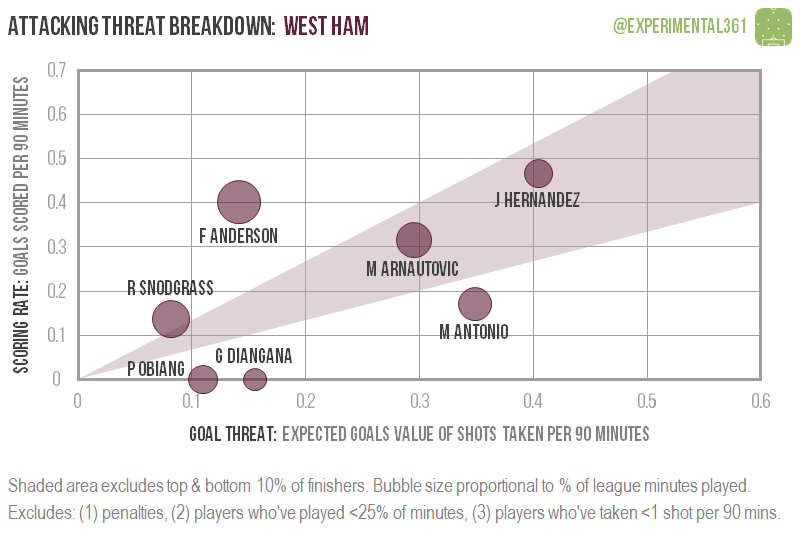 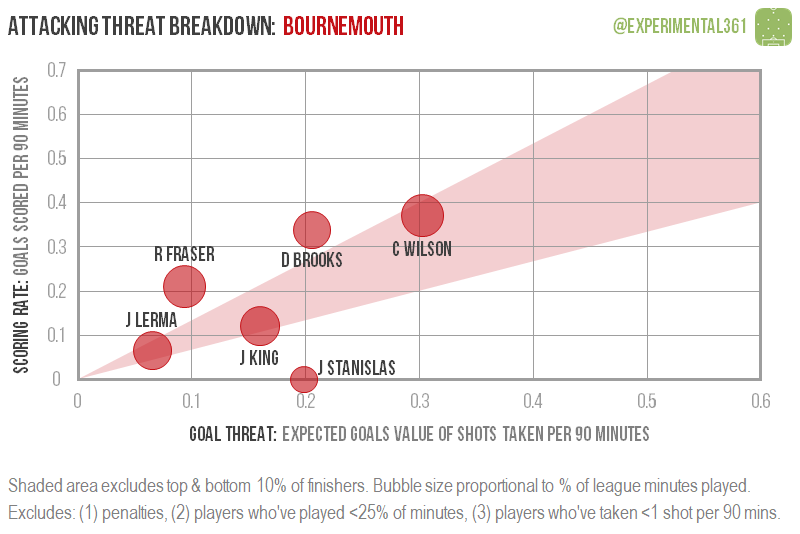 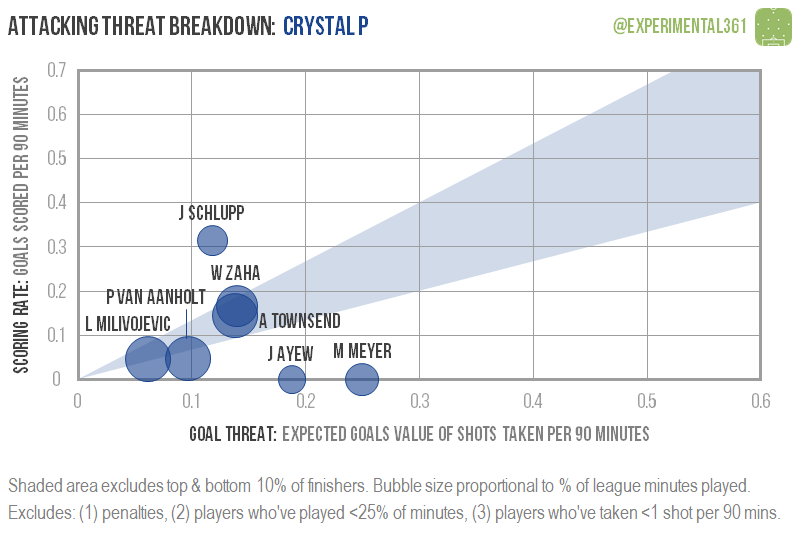 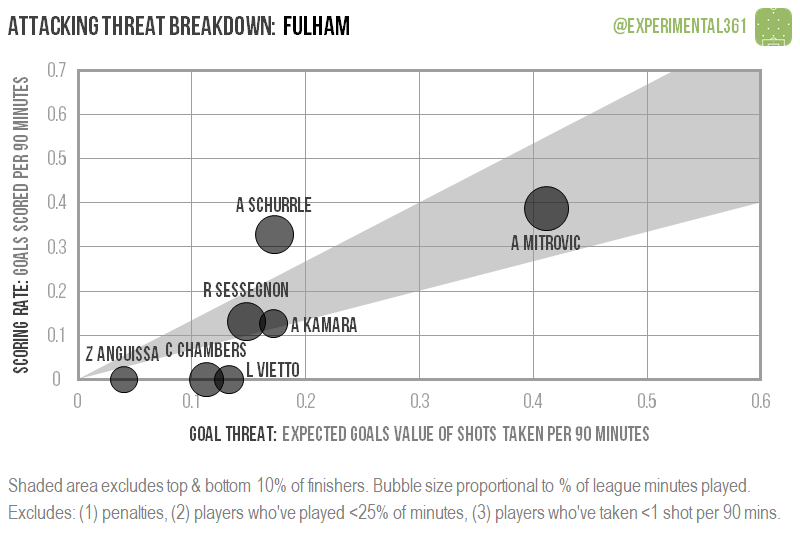 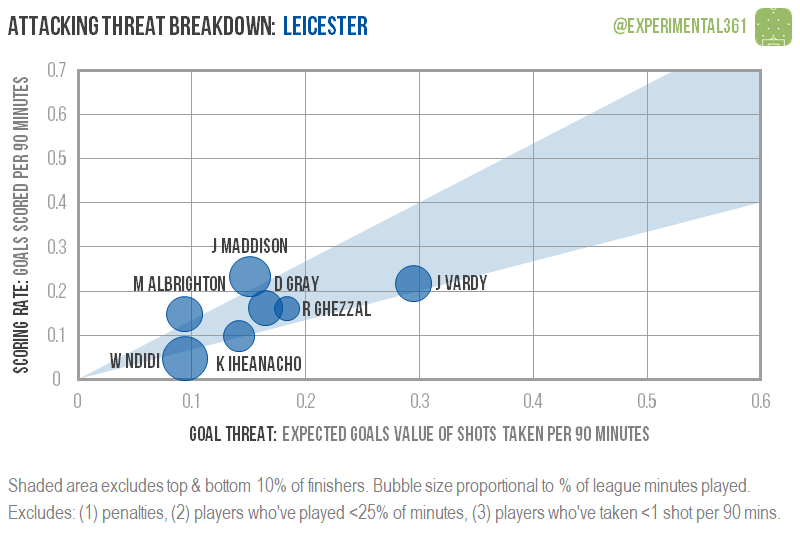 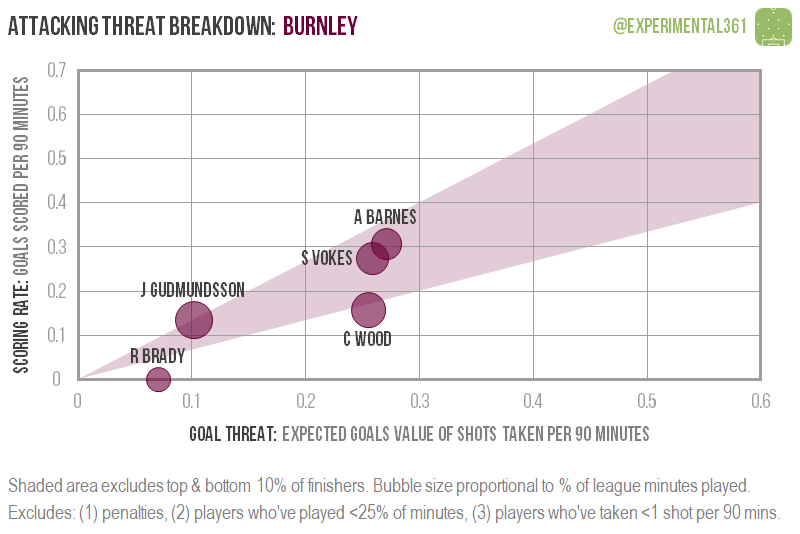 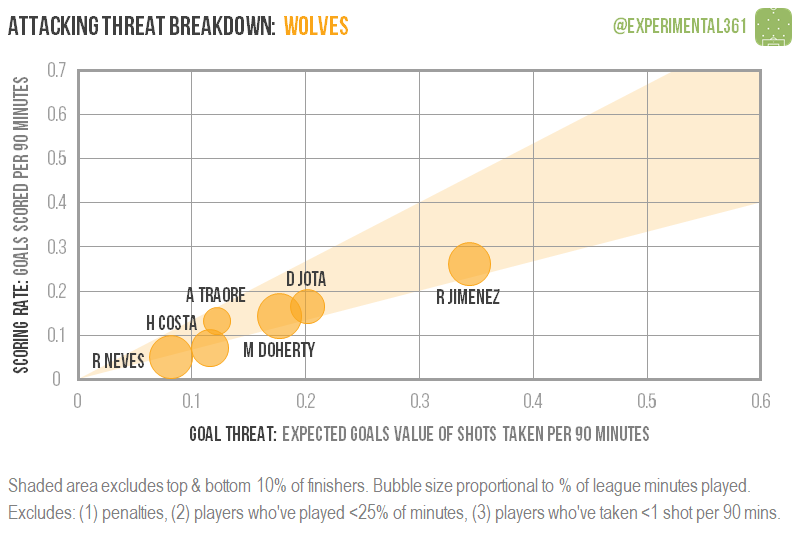 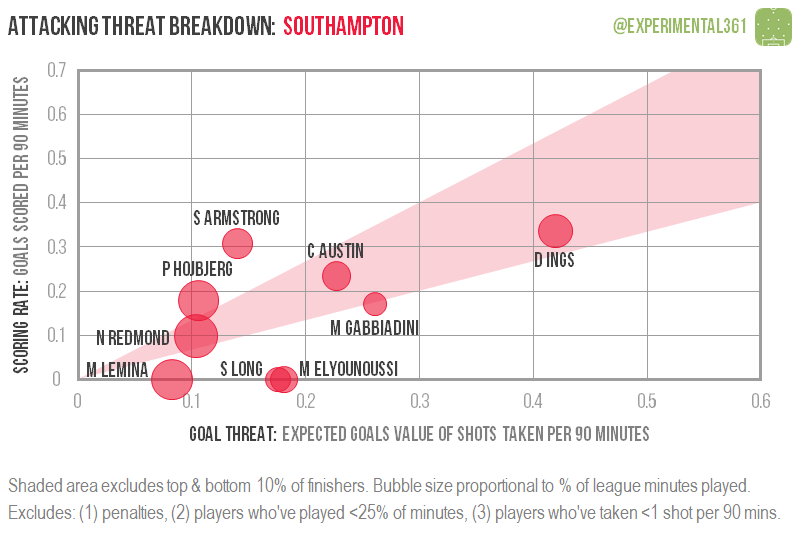 Huddersfield‘s chart is very unusual: their two most threatening players haven’t found the net yet and their top scorer (Mathias Jorgensen) doesn’t even make the cut for the graphic as his three goals have come from just six chances.